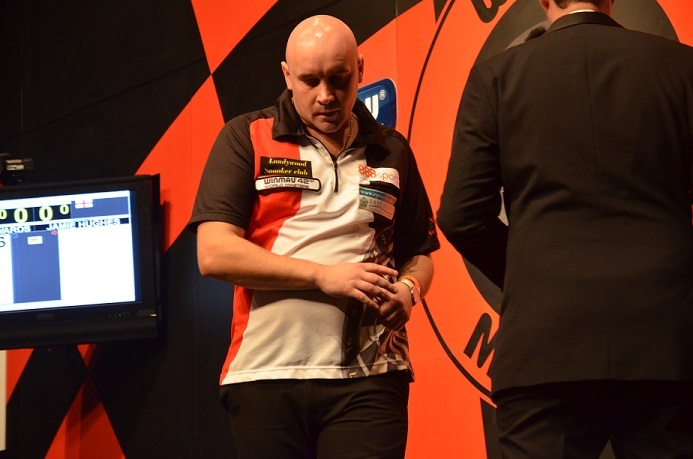 Jamie Hughes plays since 2007 on the BDO Circuit and is since 2014 one of the upcoming players. 2012 Hughes qualified by the pub qualifiers for the PDC UK Open but lost in preliminary round. In 2013 he won his first BDO tournament - the Gwynedd Open. 2014 he won the Antwerp Open, was the runner-up of the Winmau World Masters and the winner of the Zuiderduin Masters. Beside he had good results in several other tournaments. Hughes went as the the number 10 seed in the Lakeside World Championship 2015 and lost on his Lakeside debut second round to Glen Durrant. 2015 was a successful year for Hughes again and he won three tournaments among them the Swedish Open. So he will return to Lakeside in 2016 - this time as the number 4 seed - and he will play against Scot Ross Montgomery in the first round.